A quarry for building stone in the Lockport Dolomite and Greenfield Dolomite. 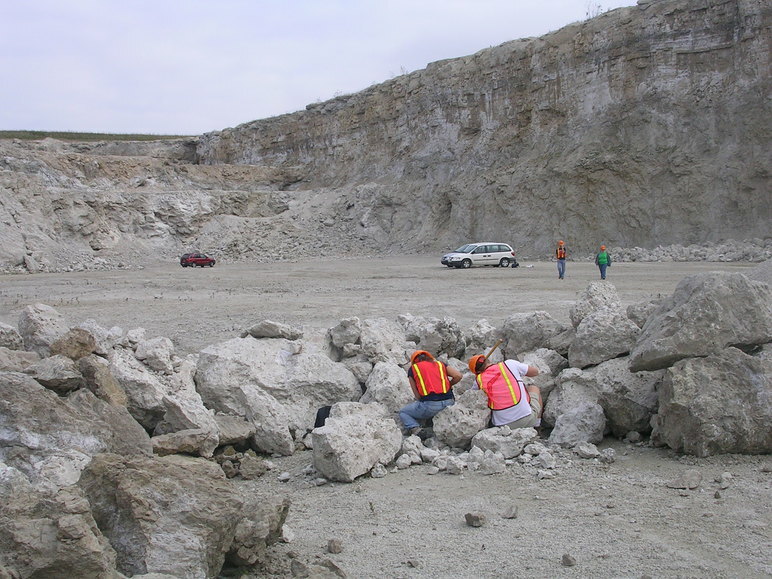 The quarry is located in section 11, SW ¼ in Perrysburg Township. Most of the quarry is now flooded (beginning in 2010) and abandoned. In 2003, Stoneco was acquired by Oldcastle Materials Inc., and Stoneco's Ohio quarries became part of the Shelly Company. Ernest Carlson (2015) lists this locality as the Shelly Materials Inc., Lime City Quarry (formerly Stoneco and Maumee Stone Co.). Reference: Carlson, E.H. (2015) Minerals of Ohio: Ohio Department of Natural Resources, Bulletin 69, Second Edition: 135. Reference: Rocks & Min. : 58:127. Description: Dolomite, olive-gray to yellowish- brown, thin to massive bedded, upper two-thirds commonly contains brownish-black to gray shale laminae; locally developed brecciated zones in lower one third. Strogonoff, R.F. (1966) The common minerals of northwestern Ohio and their geologic occurrence: Bowling Green State University, Bowling Green, Ohio, M.A. thesis: 41, 43-44, 46. Kahle, C.F. and Floyd, J.C. (1968) Structures and fabrics in some middle and upper Silurian dolostones northwestern Ohio. Field Trip Guidebook. The Ohio Academy of Science, 43rd Annual Geology Field Trip, April 20, 1968: 28-30. Roedder, E. (1969) Varvelike banding of possible annual origin in celestite crystals from Clay Center, Ohio, and in other minerals. 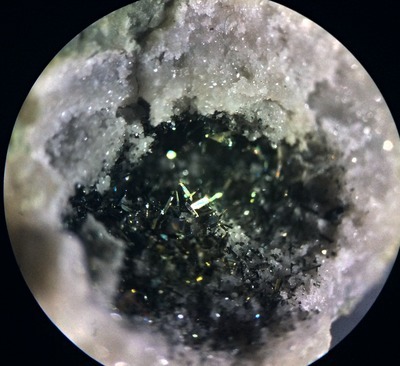 The American Mineralogist: 54 (3): 797. Green, R. (1970) Ohio, still a mineral-producing state: Rocks & Minerals: 45(9): 584. Green, R. (1970) Celestite: Rocks & Minerals: 45(11): 677. Kahle, C.F. and Floyd, J.C. (1972) Geology of Silurian rocks, northwestern Ohio – Field trip guidebook for first annual meeting, Eastern Section, American Association of Petroleum Geologists, May 1972: Ohio Geological Society Publication OGS 2: 52. Botoman, G. (1975) Precambrian and Paleozoic stratigraphy and potential mineral deposits along the Cincinnati Arch of Ohio. The Ohio State University, Columbus, Ohio, M.S. thesis: 45. White, J.S. (1975) What’s new in minerals? 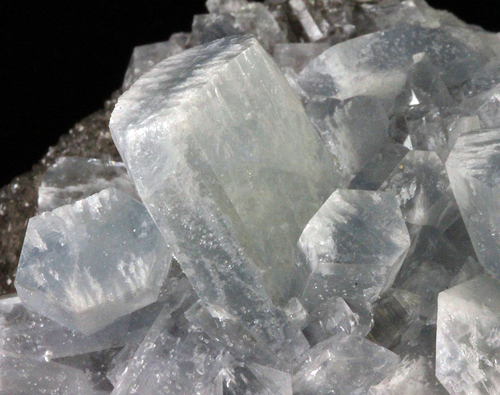 Celestine from Ohio. 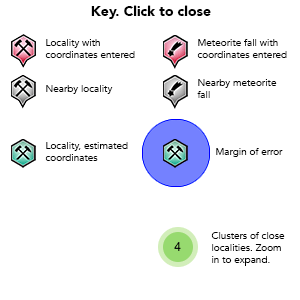 Mineralogical Record: 6: 38. Fisher, H.H. 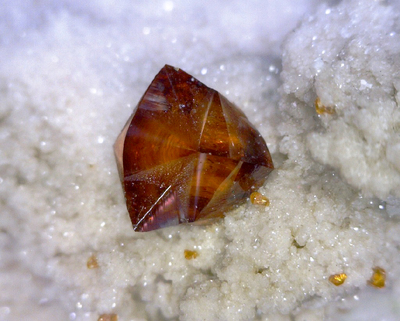 (1977) Ohio celestine: Rocks & Minerals: 52(8): 414. Haden, J.M. (1977) Isotopic studies of sulfide and other mineralization from the Middle Paleozoic rocks of western Ohio. The Ohio State University, Columbus, Ohio, M.S. thesis: 24-25, 28-29. Botoman, G. and Steiglitz, R.D. (1978) The occurrence of sulfide and assocated minerals in Ohio: Ohio Department of Natural Resources, Division of Geological Survey Repoirt of Investigations 104: 6, 8. 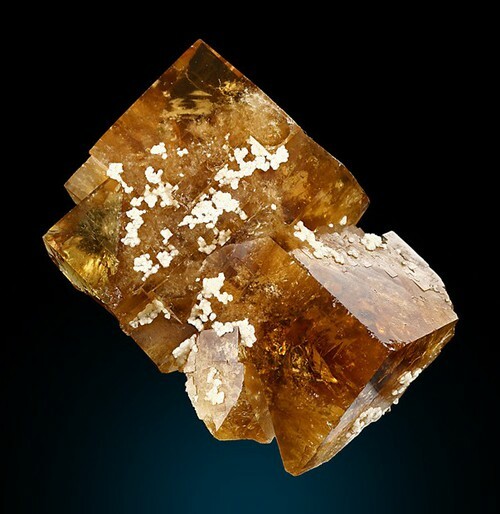 Mychovsky, G. (1978) The origin of fluorite, sulfate and sulfide minerals in northwestern, Ohio. Kent State University, Kent, Ohio, M.A. thesis: 16-17, 23, 24, 26, 37, 38, 42. Carlson, E.H. (1983) The occurrence of Mississippi Valley-type mineralization in northwestern Ohio, in Kisvarsanyi, G., Grant, S.K., Pratt, W.P., and Koenig, J.W., eds., International Conference on Mississippi Valley Type Lead-Zinc Deposits, Proceedings, University of Missouri-Rolla Press, Rolla, Missouri: 425, 427, 429-430. 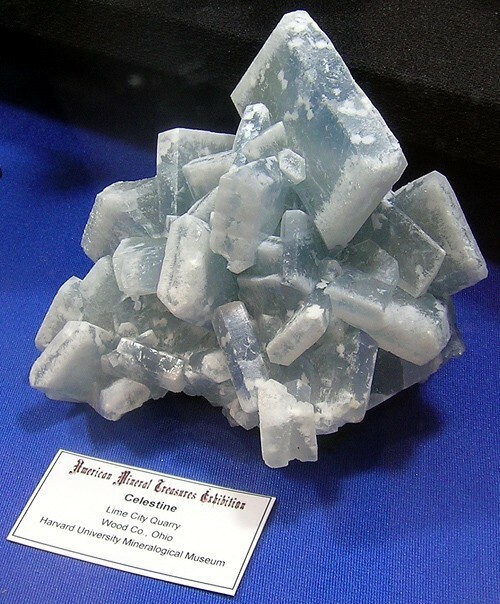 Medici, J.C. (1983) Celestite and sulfur from southeastern Michigan. Rocks and Minerals: 58(3): 127. Robbins, M.A. (1983) The collector’s book of fluorescent minerals. Van Nostrand Reinhold Company, Inc., New York: 123. 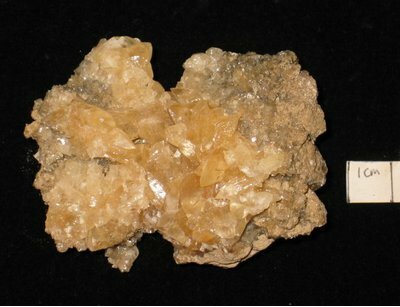 Carlson, E.H. (1987) Celestite replacements of evaporites in the Salina Group. Sedimentary Geology: 54: 93-112. Wilson, W.E. (1987) What’s new in minerals?. Mineralogical Record: 18: 61. Carlson, E.H. (1990) Ohio mineral locality index. Findlay Arch and Serpent Mound Districts. 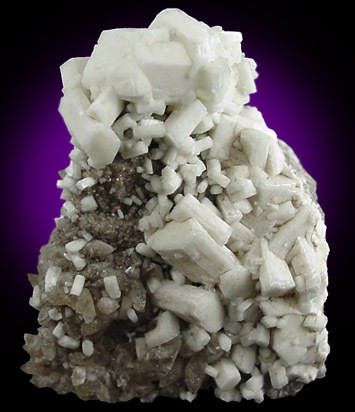 Rocks & Minerals: 65(6): 536-537. Carlson, E.H. (1991) Minerals of Ohio: Ohio Department of Natural Resources, Bulletin 69: 84, 87, 96, 99, 104, 108-109, 113, 118, 130, 141-142. Carlson, E.H. (1994) Geologic, fluid inclusion, and isotopic studies of the Findlay Arch District, northwestern Ohio. Economic Geology: 89(1): 90. Vasichko, J.W. (2003) Tribute to an Ohio classic: Stoneco Inc. Lime City Quarry, Wood County, Ohio. Huizing, T.E. and Medici, J.C. (2008) Celestine from the Findlay Arch District in Staebler, G.A. and Wilson, W.E. (2008). Lithographie, Ltd., Denver, Colorado: 208-215. Carlson, E.H. (2015) Minerals of Ohio: Ohio Department of Natural Resources, Bulletin 69, Second Edition: 135, 138, 145, 162, 168, 180, 188, 191, 200, 217, 238, 263, 266, 268. Vasichko, J.W. 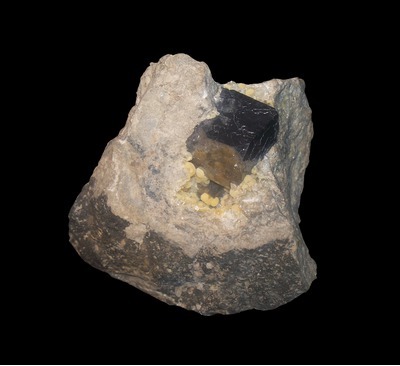 (2018) Fluorite of the Findlay Arch Mineral District, Ohio, Michigan and Indiana. 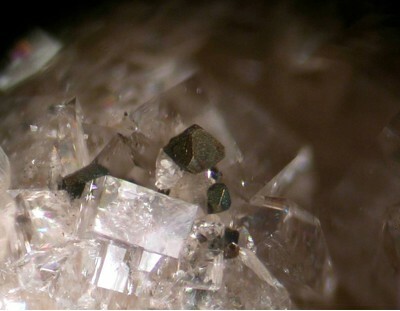 Rocks and Minerals: 93(2): 110-119, 122-123.